First things first, it’s probably worth explaining what lead me to even look for an alternative to Postman. The truth is that I have been really happy with Postman on the whole. Recently, however, I’ve changed jobs and started working extensively with GraphQL (a topic on which I may in time write a post). 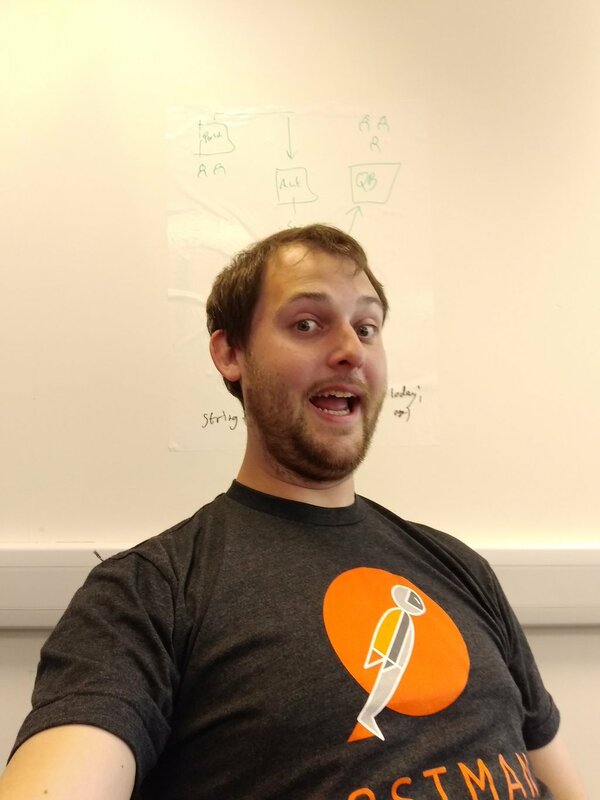 Since GraphQL queries are just REST calls with a specific payload, it is, of course, entirely possible to perform them in Postman. That said, it just feels a bit clunky. When I Googled for tips on using Postman for GraphQL, the top result was this Stackoverflow answer, which had been edited to recommend Insomnia. Now, I’m not an expert in either application, but I’ve been using Postman for a while now and I’ve used Insomnia quite a bit this week. I’ll try and do a comparison but I may well miss some things. If I do, let me know in the comments. Anyway, with that disclaimer out of the way, let’s get stuck in. The Insomnia app running a simple GraphQL query against the (wonderful) FakerQL hosted endpoint. Even at first glance, there are a few similarities between the two: both have a panel on the left for saved requests, a pane for writing composing requests, and a pane for the response. Postman arranges these panes one above the other, but Insomnia defaults to placing them side by side. To my eye, Insomnia is almost a little stark when you first run it, but I suppose this plays to the simplicity of the aesthetic. Regardless, both make it pretty obvious how to write and run your first call. Both are Electron apps, with the usual pros (e.g. cross-platform) and cons (e.g. large-ish footprint) that this entails. They’re both “freemium” apps, with extra features (mainly around collaboration) available for subscribers. Both have templating/tagging systems that allow for the management of multiple environments. The first difference to highlight is obviously the one that drew me to Insomnia – GraphQL support. By selecting GraphQL as the body type in the drop down, Insomnia will immediately go and fetch the schema from the endpoint. The schema is then used to populate the auto-complete system, which makes composing queries very quick indeed. As well as all this, it quietly sorts all the headers out, so that everything just works. 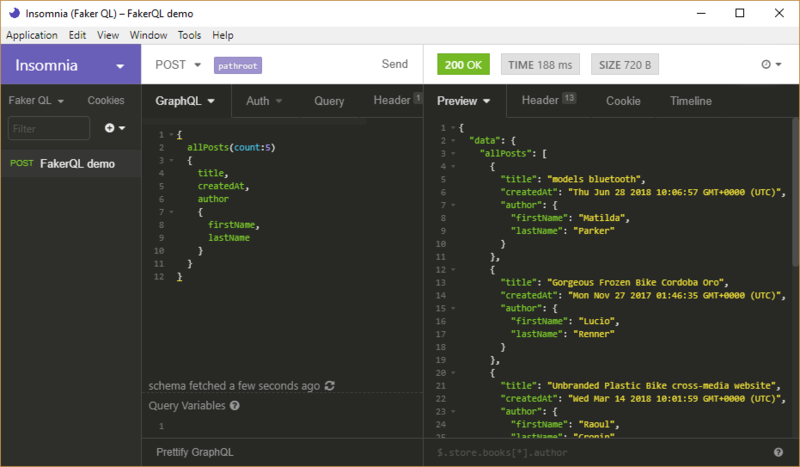 Let me put it this way: if you’re working with GraphQL, give Insomnia a try. As I work across different types of API – or even different aspects of the same API – I find myself switching from one app to the other. Luckily, this is made really easy by Insomnia’s ability to both import and export requests using Postman’s “Collection” file format. Looking to the future, I predict Postman will start to imitate some of Insomnia’s GraphQL support. It is also possible Insomnia will get more of the sort of “enterprisey” features that Postman currently leads on. For my money though, the Postman team seem to be the more commercially focused. We’ll have to wait and see whether either or both of these things happen I suppose. For that matter, I suppose we should be wondering whether “one tool to rule them all” would even be a good thing.